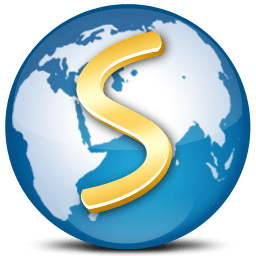 SlimBrowser 8 is a powerful and compact tabbed multiple-site browser with full unicode support. It incorporates a large collection of powerful features like built-in popup killer, skinned window frame, form filler, site group, quick-search, auto login, hidden sites, built-in commands and scripting, online translation, script error suppression, blacklist / whitelist filtering, URL Alias. SlimBrowser let you open several sites at once with the support of site groups. It provides one-click access to search engines via pre-defined quicksearch entries. You can easily define your own quicksearch entries. SlimBrowser provides one-click access to personal accounts via predefined autologin entries. This browser supports URL filter and in-page ad filter which blocks annoying advertisements and offensive content effectively. It is able to render RSS new feeds into readable web pages. SlimBrowser support URL alias and built-in commands. It also supports ftp file uploading. The built-in ScriptPad is able to edit JScript / VBScript and HTML files with syntax highlighting. The interface is fully skinnable and a large collection of skins are available for download. It brings you convenient and comfortable browsing. URL Alias: Type short alias instead long URL.